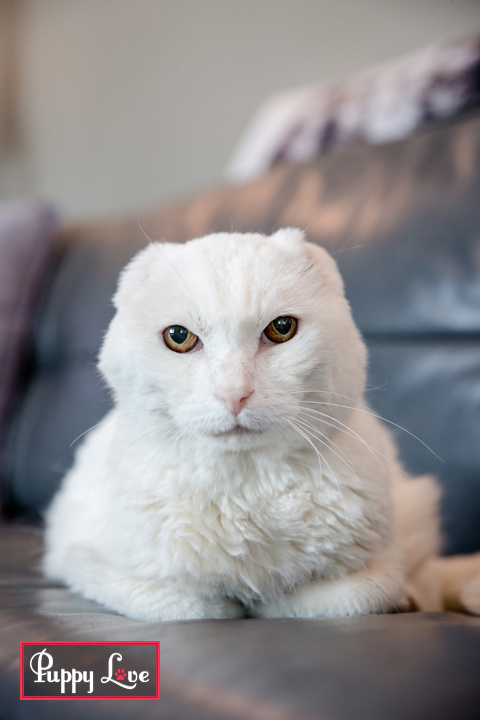 Don’t let Benjy’s outward appearance fool you; he’s not angry at all! 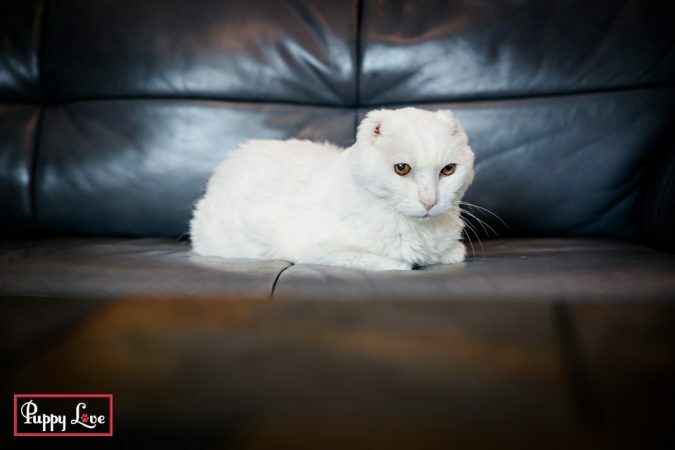 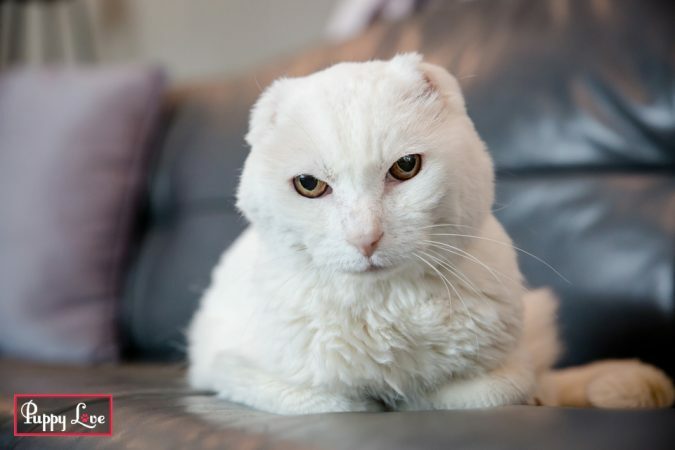 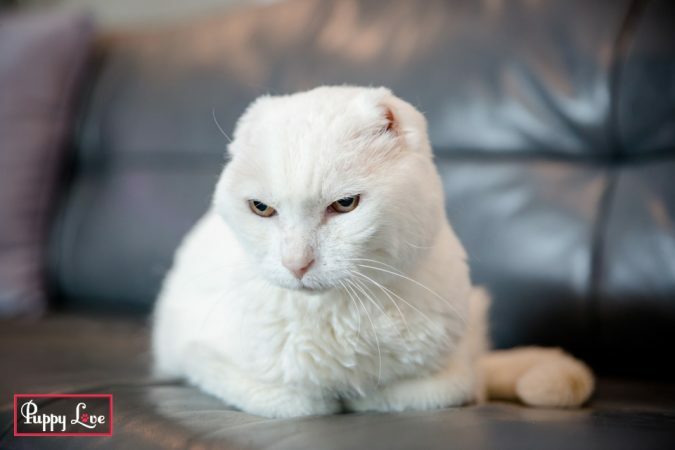 Benjy lost his ears before being rescued, giving him his stern appearance. 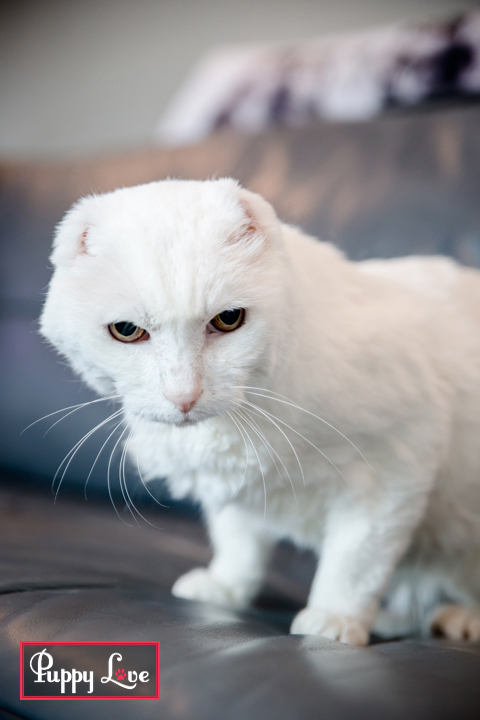 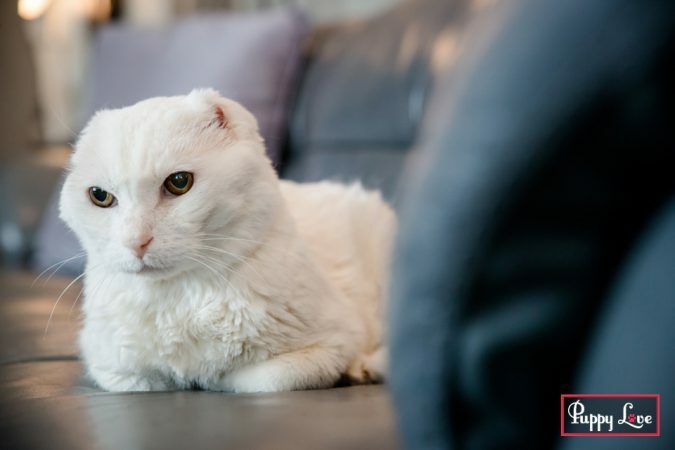 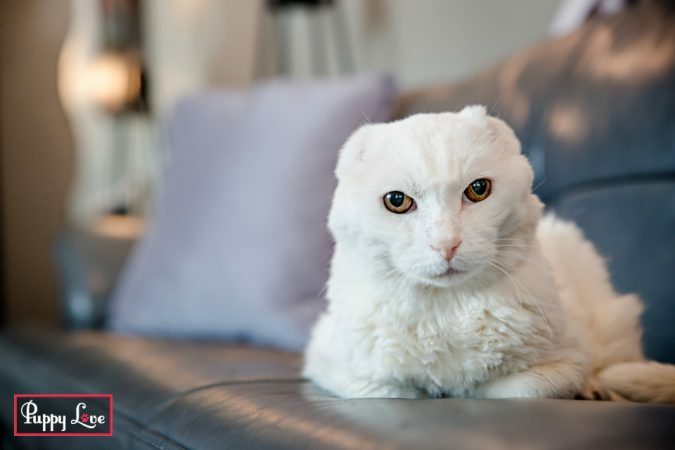 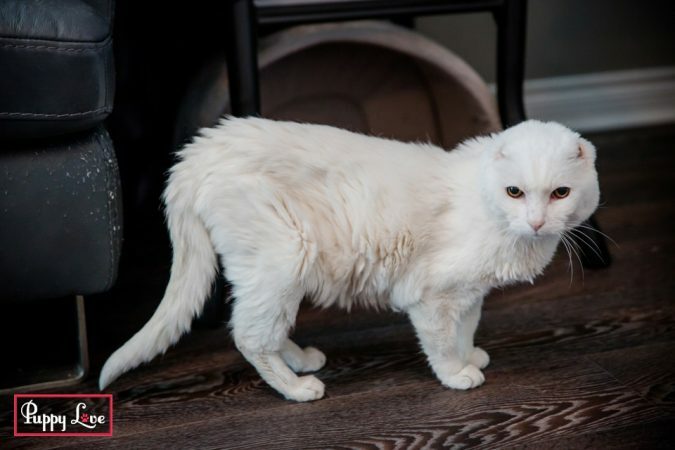 In reality he’s a gentle, kind cat who loves to spend his senior years chilling out on the couch. 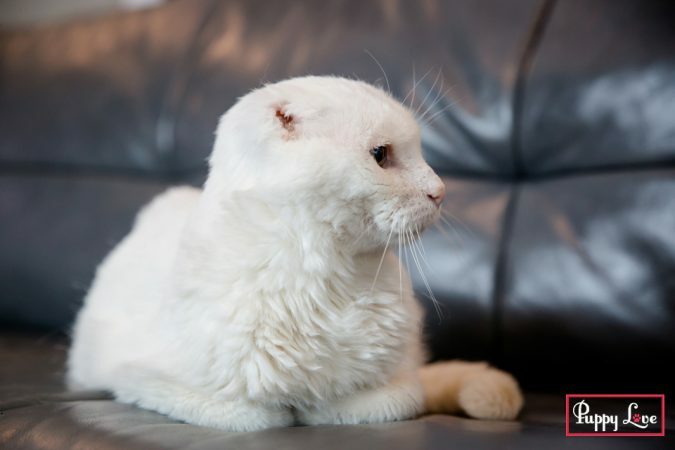 Getting some help posing from his orange friend!